I have been waiting for this day for so long because today is my first project for Xyron!!! As some of you may know, I was on Xyron's 2016 Design Team last year and was able to make the cut to be on their 2017 Design Team this year! Needless to say, it was so nice to know that I had not been voted off the crafty island (lol)! Now, if you're not familiar with Xyron, they are a company that creates products to enhance and protect your handmade creations. 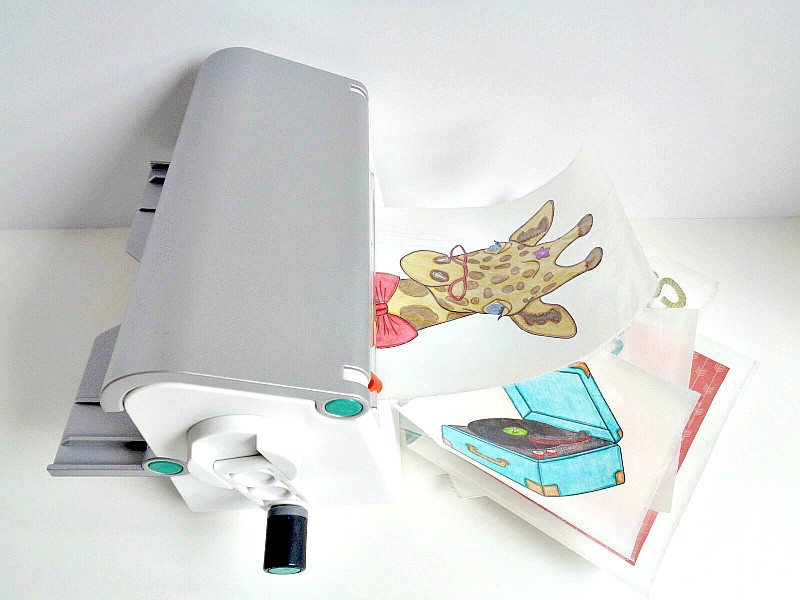 Some of the products that they are best known for are their sticker makers, creative stations, and professional laminators. In today's project, I will be using the Xyron Creative Station Lite which is a great product to start with, if you're new to Xyron. Also, if you landed on this post and have no clue who I am, that's ok! 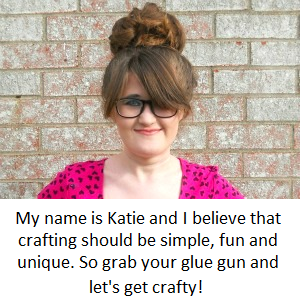 My name is Katie and I am a DIY blogger, who believes that crafting should be simple, fun, and unique! 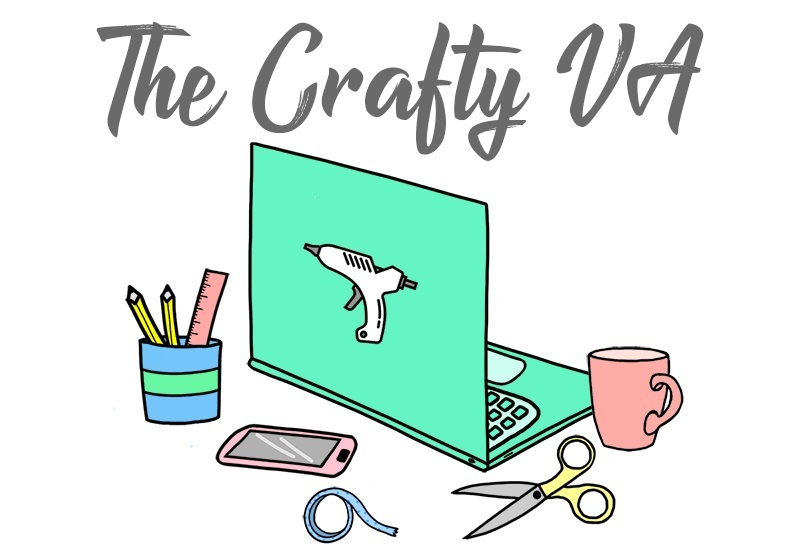 Here on Running with a Glue Gun, I focus on all things that are crafty. 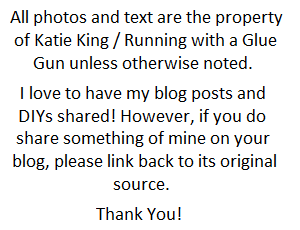 Meaning, that I share DIY posts, write craft products reviews, and share crafty tips. But that is enough about little old me! What you really want to know, is what we are making today! Well, Xyron asked each of their design team members to create a card for their first project. I will be honest, cardmaking is not my strongest crafting skill but I tried my best to create some cards that were simple, fun, and unique. 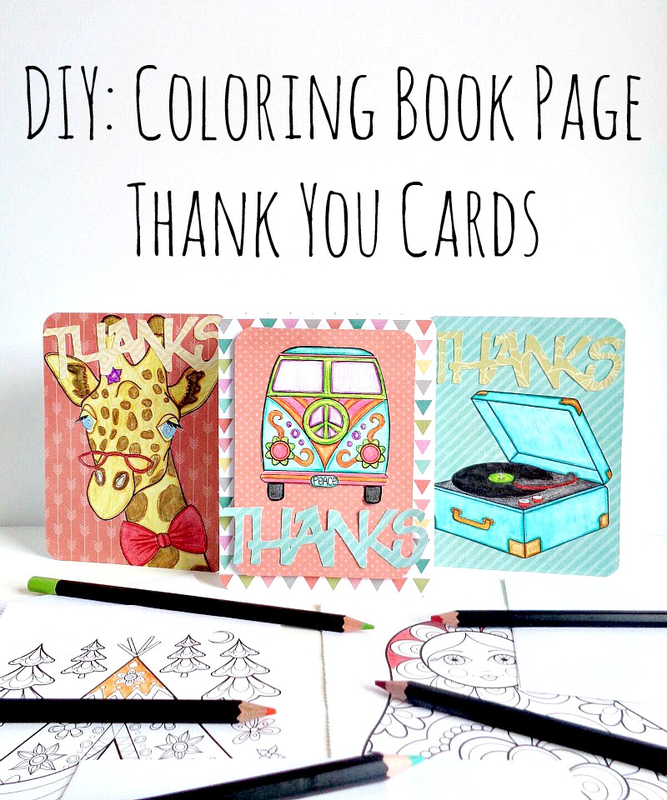 Today I will be showing you how to turn your coloring book pages into fun thank you cards, in only 5 easy steps! 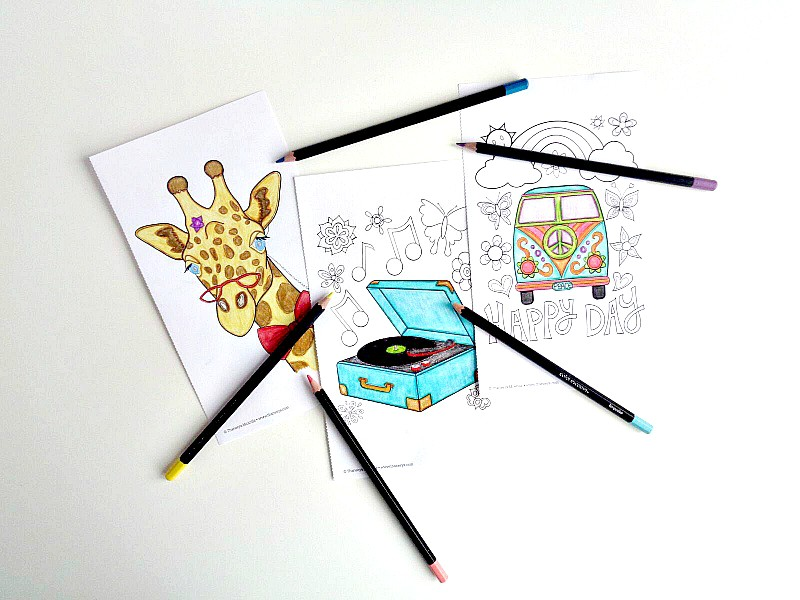 Step 1: Grab your coloring book pages and color those areas that you want to use for your card. 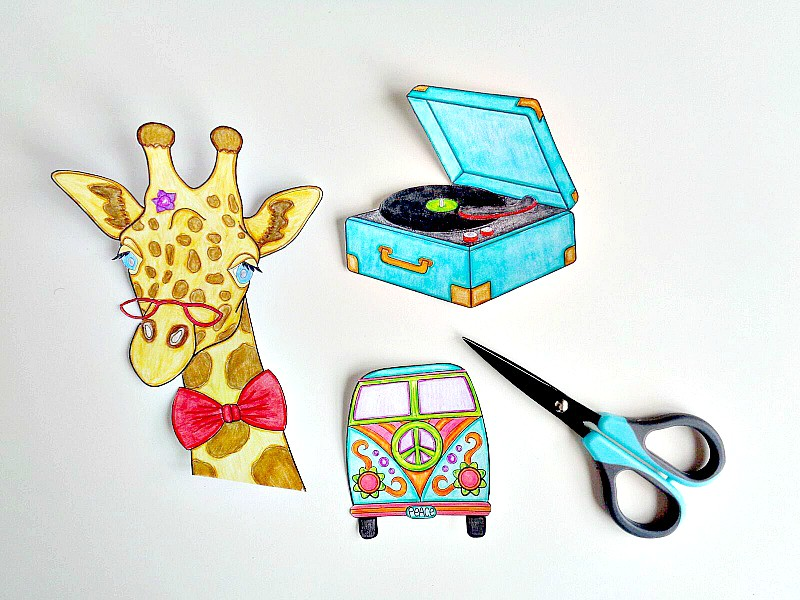 Step 2: Cut out the images you colored with your scissors. 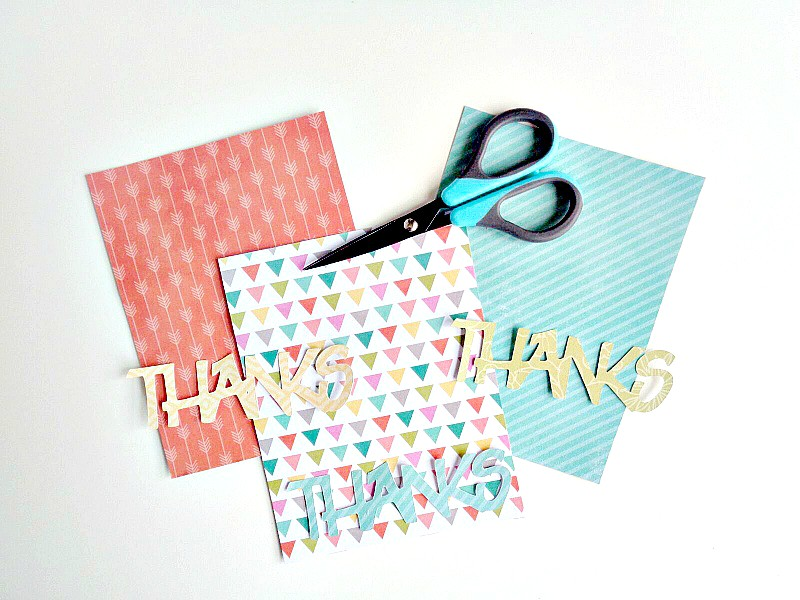 Step 3: Grab your scrapbooking paper and your other paper word embellishments, then cut them to size to fit the front of your card. For this project I used the following from the DCWV's DIY Project Stack Mini Albums: (starting from left to right) coral/yellow arrows, yellow zigzag paper, multicolored triangles, blue diagonal lines, and green floral. 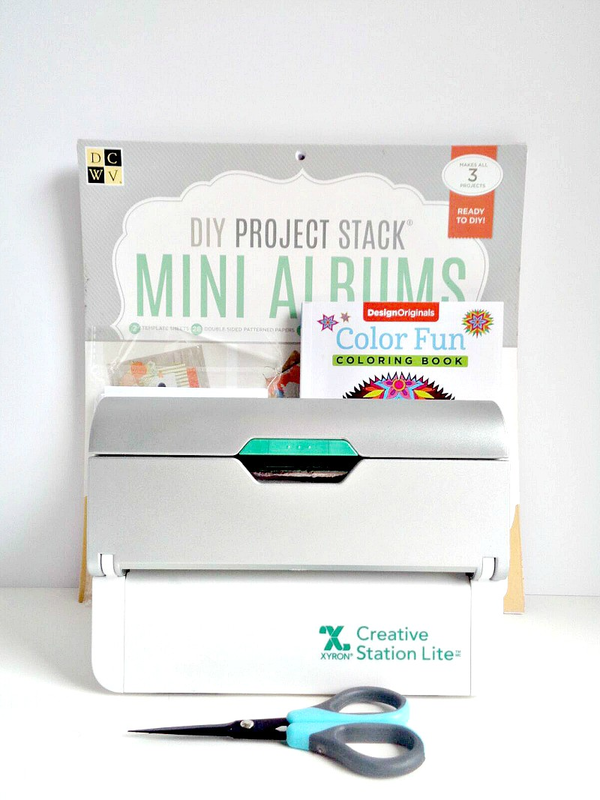 Step 4: Slide your coloring book page cut-outs, your scrapbooking paper, and paper word embellishments through your Xyron Creative Station Lite. Keep repeating this process until you have run each piece through your Xyron Creative Station. Step 5: Once your paper pieces have been run through the Xyron Creative Station Lite, you're ready to start creating your card. In this case, I first put down my background (the scrapbooking paper), then my coloring book page cut out, and finally my paper word embellishment. However, before adding each piece, make sure you rub each paper piece while it's on the Xyron Sticker paper. 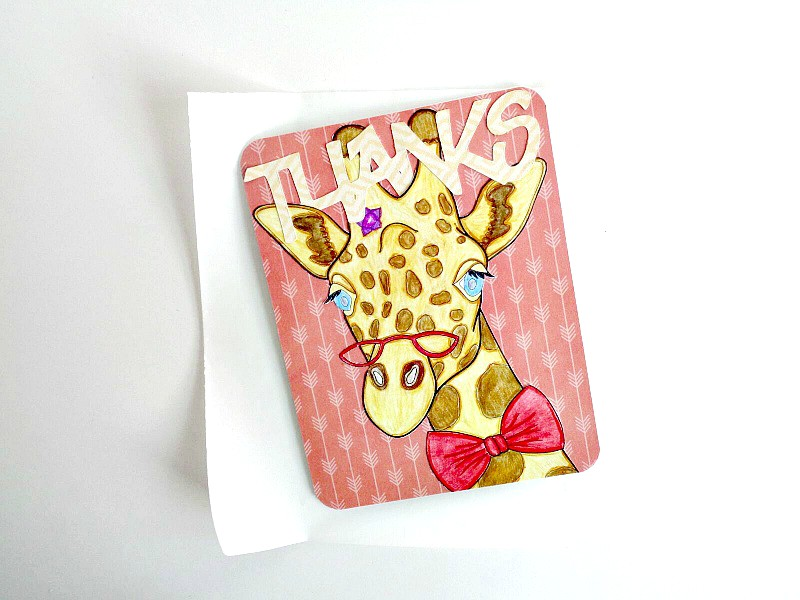 That way, you will be creating a really strong adhesive backing. 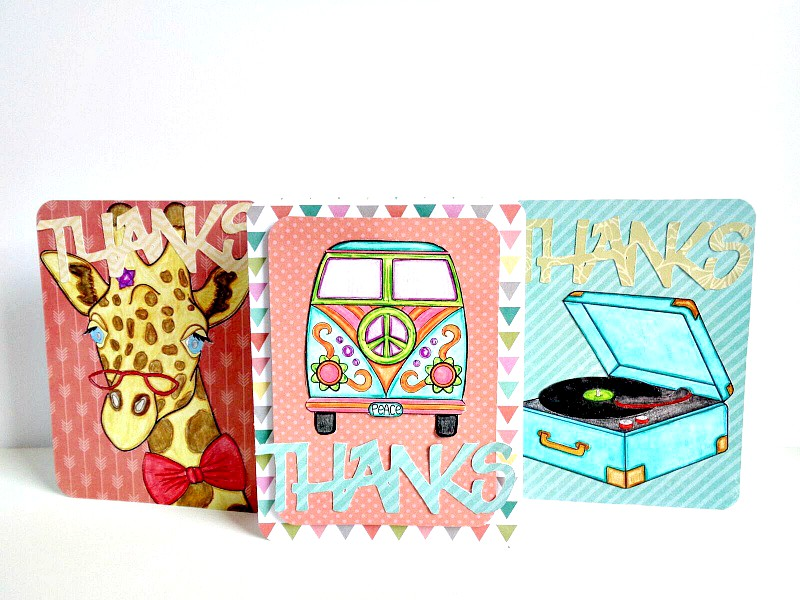 Once your cards has been completely assembled, you are ready to write your message and give them to your family and friends! 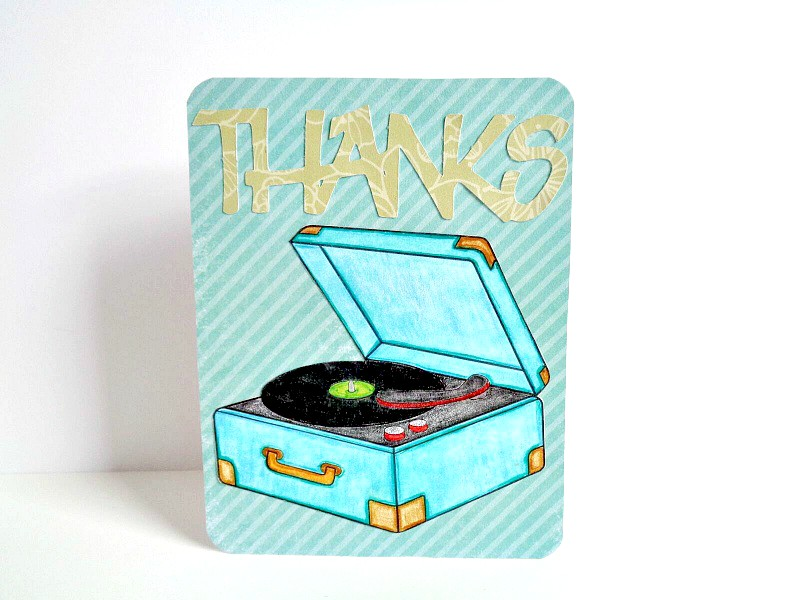 I love how these thank you cards turned out! The nice thing about using Xyron to adhere your coloring book pages to any surface is that the Xyron adhesive does not affect the medium you used on your cards. 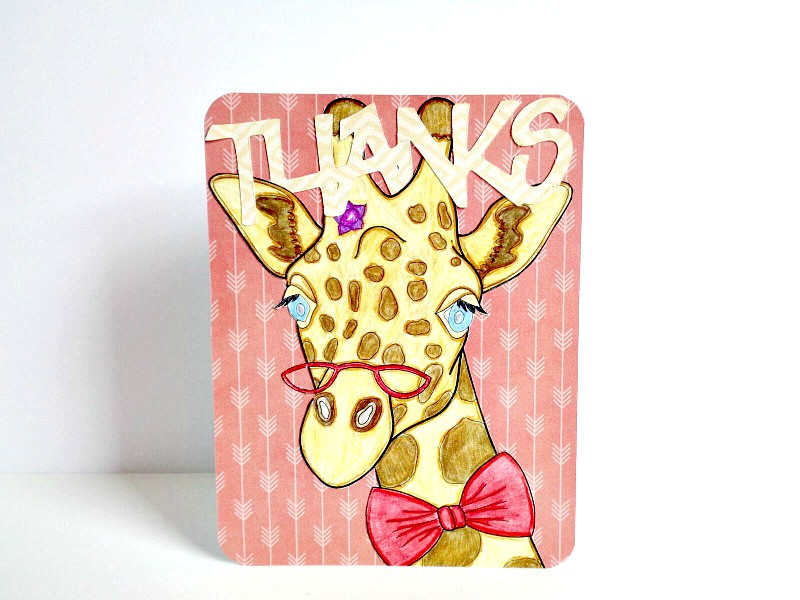 For example, if you were to of used a decoupage glue in this situation, then the glue might have smeared any ink or watercolor you might have used on your coloring book page. So in this case, I feel that Xyron's products and coloring book pages are definitely a perfect match! Also, in case you are wondering, I actually rounded the corners of my cards by using the We R Memory Keepers 1-2-3 Punch Board. 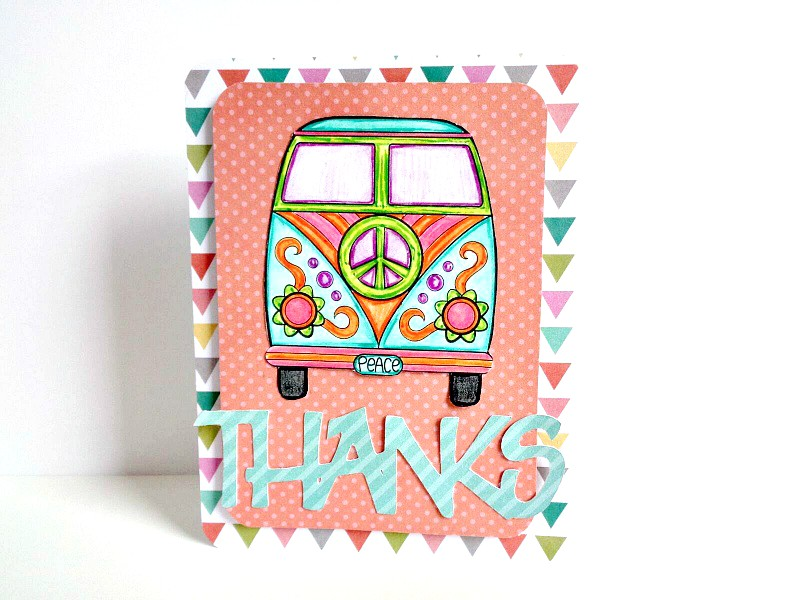 I did this by sliding the corners of the card into the slot that said ''rounded corner'' on the punch board. To follow along with all the crafty fun and to never miss a new design team member's project, check out Xyron's Facebook and Pinterest page! As always, what do you think of today's project and have you ever used Xyron's products? I'm on Xyron's 2017 Design Team! !